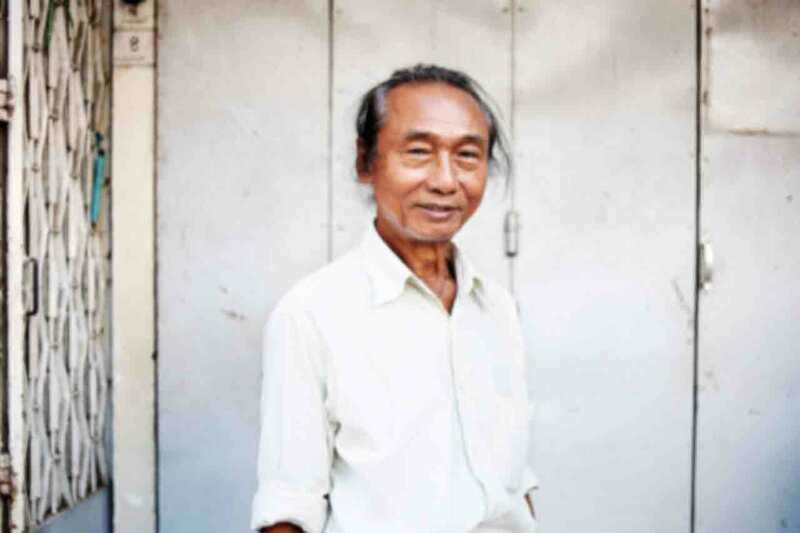 A man in Yangon. He asked seven people for a lighter because he didn't have one when I asked him. A token of the friendliness of the Myanmese. 'Mingalaba' was shot last December and depicts the people who live in Myanmar. Despite the negative press coverage it has received this last year, I was able to witness the kindness and warmth of its inhabitants. Buddhism is rooted in everything they do. An honest religion where strength is found inside one another. A core value that give them the capability and the resourcefulness to stand up to the difficult reality that Myanmar faces today. Tradition and respect remain important in the more remote places, such as Hu Soon and Naung Pyaet. This is illustrated in the picture of the the couple. The man is 'hover-handing' the woman because it's impolite to show intimacy whenever guests are in the house. 'Mingalaba' means 'hello' in Burmese and was one of the few words I could pronounce while travelling the country. Scroll or use the arrows on your keyboard to navigate between pictures. 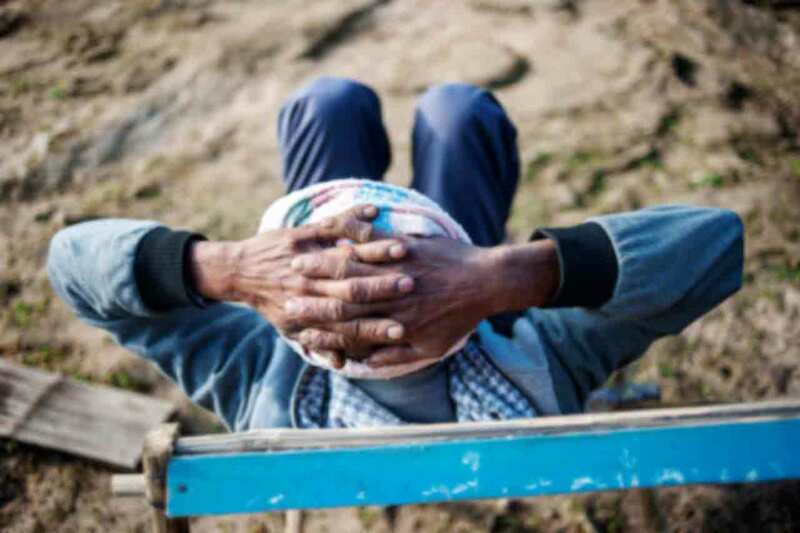 A retired farmer sits and watches the daily life in Naung Pyaet, a mountain village in Shan State. 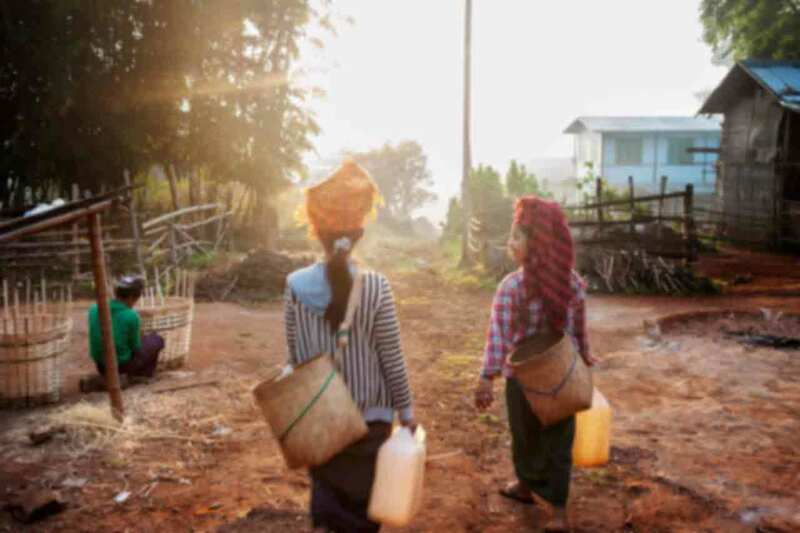 A couple in a remote village in Shan State. Because guests are in their house, the man does not want to put his hand on his wife, so he's 'hover-handing'. Showing affection is not allowed when there are visitors, according to tradition. A kid with his favorite teddybear in his parents' house in Hu Soon. 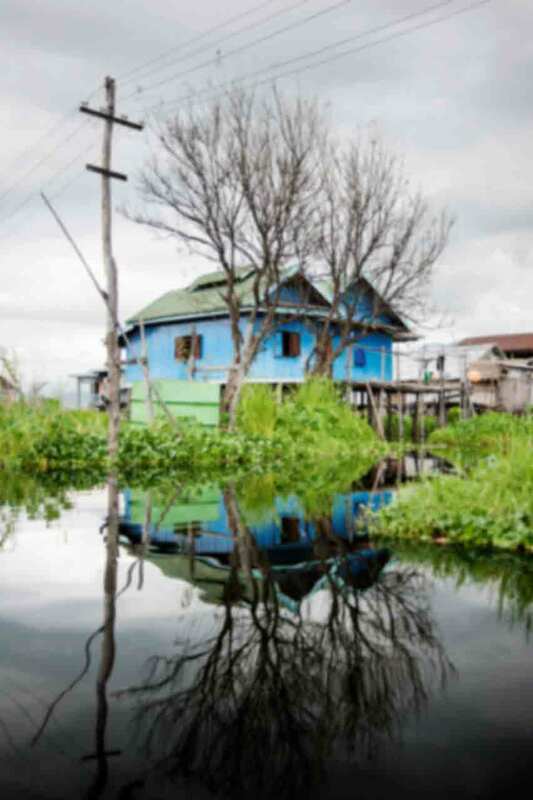 A house built on stilts in the middle of the water of Inle Lake. 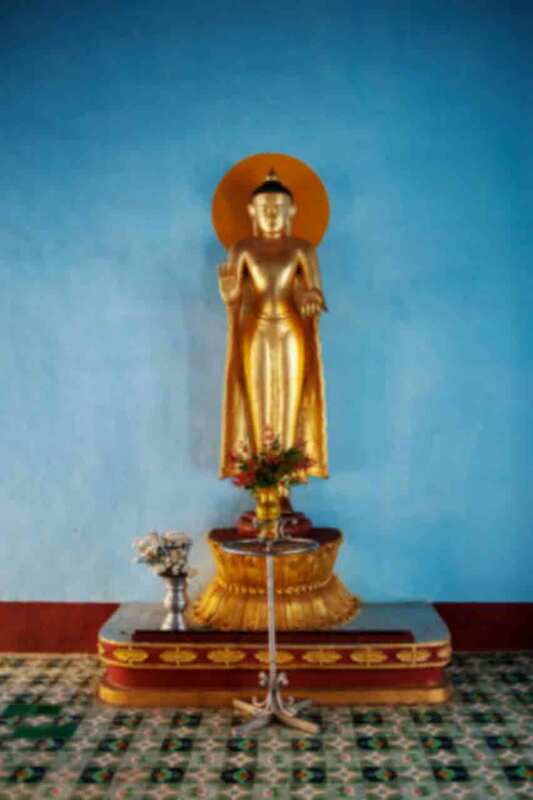 A small but beautiful statue of Buddha in Bagan. 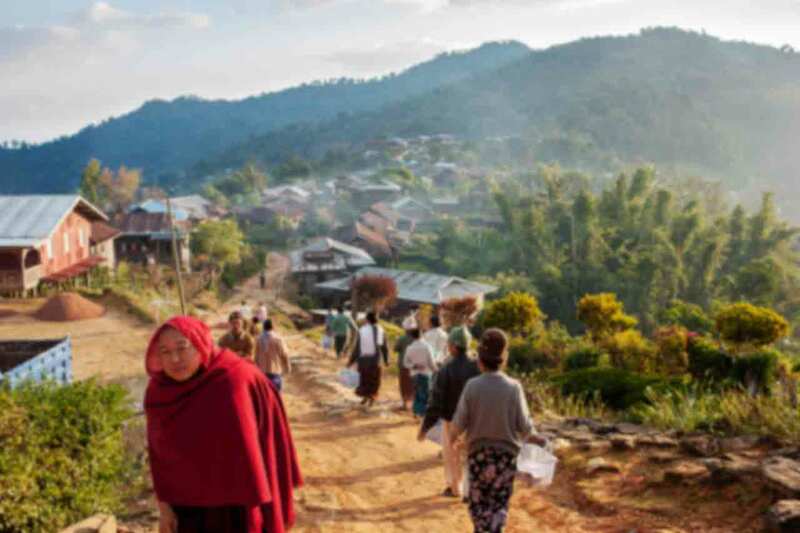 A morning in a remote village in Shan State. The girls are on their way to fetch water, while a young man is already busy making baskets. Sunrise in Hu Soon. The villagers are on their way back from the monastery, where they delivered food and prayed afterwards. The monk is on his way to the monastery to collect his daily free food. 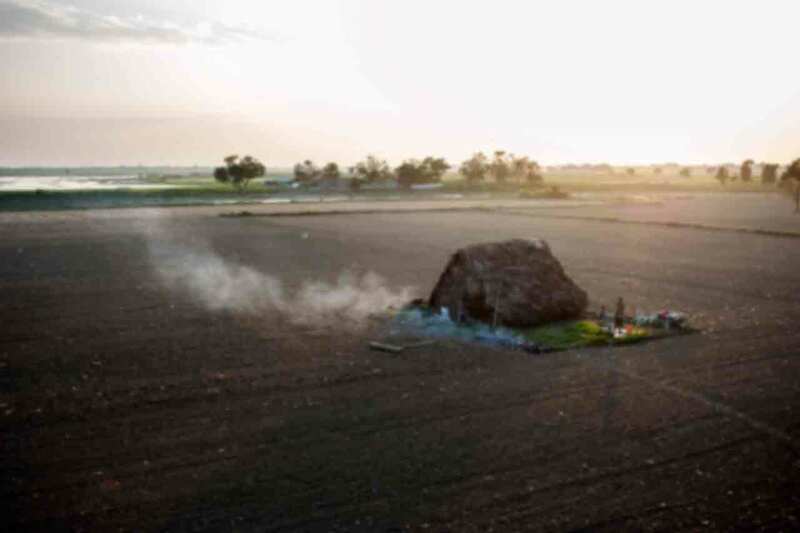 A man is showering outside his house in the middle of a field in Mandalay. His house is near U Bein Bridge, a very popular tourist attraction and can be seen from the bridge. He has no problem showering in front of thousands of tourists. 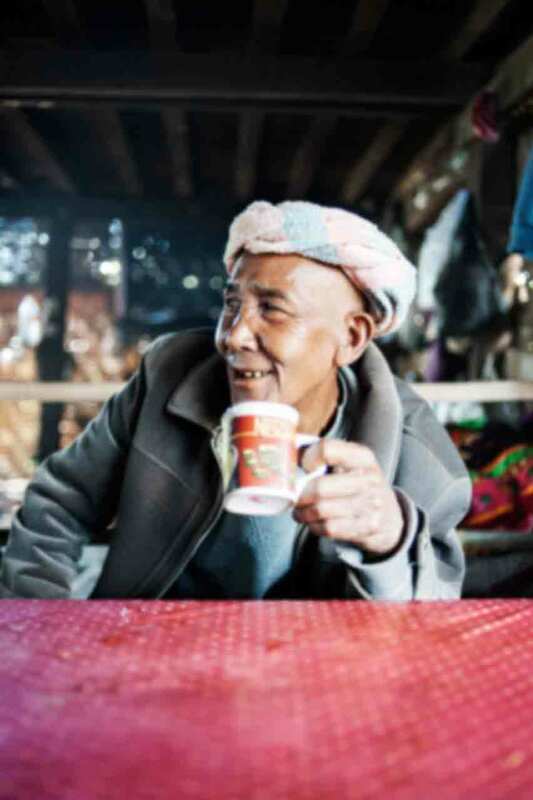 Drinking tea with an old man in Naung Pyaet. Tea is very common to drink in Myanmar. And since everybody is so warm and hospitable there, I must have had a million cups of tea.